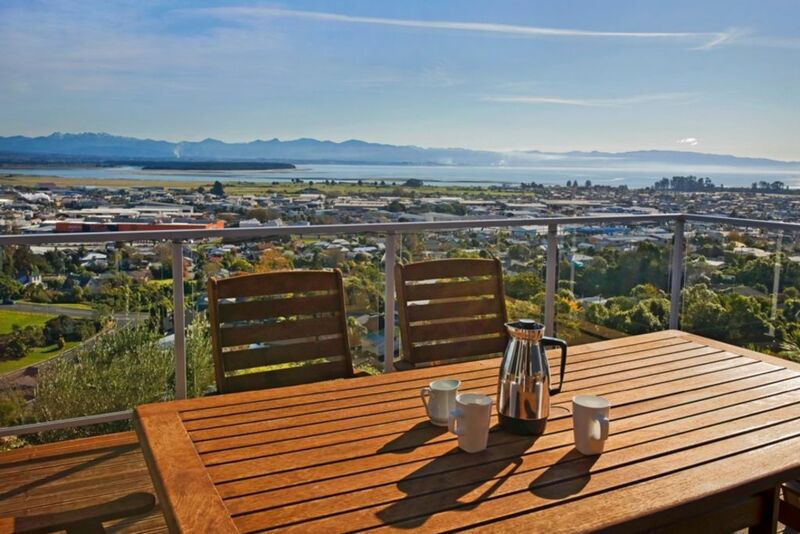 Pinnacle Place offers fantastic panoramic vistas that take in Tasman Bay, Tahuna Beach area, Monaco Peninsula, Rabbit Island and the beautiful Western Ranges! The elevated position ensures abundant Nelson sunshine and its modern design and spec ensure your comfort no matter what the time of year! If you are a golfer, keen to spend time on the water or at the beach, intending to visit the WoW Museum, enjoy the city centre, regional wineries or visit the Abel Tasman this will be a great base for you. This is a personal home made available to guests on an occasional basis. This allows you access to a superb and well-equipped home with the trade-off that storage may be required for owner belongings. Extras: Cleaning & Linen fees (Required, NZ$75.00); Service Fee (Required, NZ$25.00 per stay), Portacot and highchair available for hire (Optional, NZ$15.00 each). Can be booked in conjunction with downstairs apartments for more rooms! toilet, shower, Master ensuite with shower, toilet & vanity. toilet, tub, shower, Shower, Separate Bath & Vanity. Separate Toilet. Please note this home maybe owner occupied between guest stays. This makes for a superbly equipped home, but some storage areas may be shared & some personal items may remain at the property. Pinnacle Place also has a separate bookable apartment below. Perfect place to stay for a family holiday. Very cosy and tidy modern house with stunning views.